The events that Israel is citing allegedly occurred at a time when Zionist Jewish militias were actively uprooting nearly 1 million Palestinian Arabs and systematically destroying their homes, villages and towns throughout Palestine. But there is a reason behind the Israeli urgency to reveal such questionable research: The relentless U.S.-Israeli attempt in the last two years to dismiss the rights of Palestinian refugee rights, to question their numbers and to marginalize their grievances. It is all part and parcel of the ongoing plot disguised as the “Deal of the Century”, with the clear aim of removing from the table all major issues that are central to the Palestinian struggle for freedom. The language — “… to correct the historic injustice” — is no different from language used by Palestinians who have for 70 years and counting been demanding the restoration of their rights per United Nations Resolution 194. Contrary to what Israeli historians want us to believe, there was no mass exodus of Jews from Arab countries and Iran, but rather a massive campaign orchestrated by Zionist leaders at the time to replace the Palestine Arab population with Jewish immigrants from all over the world. The ways through which such a mission was achieved often involved violent Zionist plots — especially in Iraq. In fact, the call on Jews to gather in Israel from all corners of the world remains the rallying cry for Israeli leaders and their Christian Evangelical supporters — the former wants to ensure a Jewish majority in the state, while the latter is seeking to fulfill a Biblical condition for their long-awaited Armageddon. On the other hand, and unlike what Israeli military historians often claim, the ethnic cleansing of Palestine in 1947-48 (and the subsequent purges of the native population that followed in 1967) was a premeditated act of ethnic cleansing and genocide. It has been part of a long-drawn and carefully calculated campaign that, from the very start, served as the main strategy at the heart of the Zionist movement’s “vision” for the Palestinian people. “We must expel the Arabs and take their place,” wrote Israel’s founder, military leader and first prime minister, David Ben Gurion in a letter to his son, Amos, on October 5, 1937. That was over a decade before Plan D — which saw the destruction of the Palestinian homeland at the hands of Ben Gurion’s militias — went into effect. As Palestinian professor Nur Masalha concluded in his book, “The Expulsion of the Palestinians”, the idea of the “transfer” — the Zionist term for “ethnic cleansing” of the Palestinian people — was, and remains, fundamental in the realization of Zionist ambitions in Palestine. Palestinian Arab villages inside the Jewish state that resist “should be destroyed … and their inhabitants expelled beyond the borders of the Jewish state,” Masalha wrote, quoting the “History of the Haganah” by Yehuda Slutsky. What this meant in practice, as delineated by Palestinian historian Walid Khalidi, was the joint targeting by various Jewish militias to systematically attack all population centers in Palestine, without exception. This tragedy has eventually grown to affect all Palestinians, everywhere within the borders of their historic homeland. Tens of thousands of refugees joined up with hundreds of thousands more at various dusty trails throughout the country, growing in numbers as they walked further, to finally pitch their tents in areas that were then meant to be “temporary” refugee encampments. Alas, these became the Palestinian refugee camps of today, starting some 70 years ago. None of this was accidental. The determination of the early Zionists to establish a “national home” for Jews at the expense of the country’s Palestinian Arab nation was communicated, openly, clearly and repeatedly throughout the formation of early Zionist thoughts and the translation of those well-articulated ideas into physical reality. 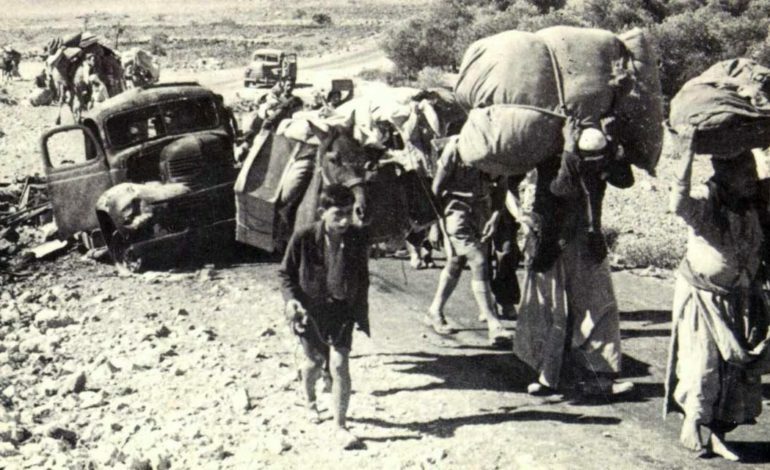 Seventy years have passed since the Nakba — the “Catastrophe” of 1948 — and neither Israel took responsibility for its action, nor Palestinian refugees received any measure of justice, however small or symbolic. Yes, indeed, “the time has come to correct the historic injustice”, not of Israel’s alleged “pogroms” carried out by Arabs and Iranians, but the real and most tragic destruction of Palestine and its people. 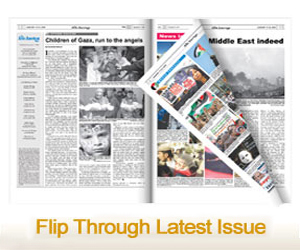 Previous article Why is the BDS movement a thorn in Israel’s and its backers’ sides?